How Did We Get Into This Mess? 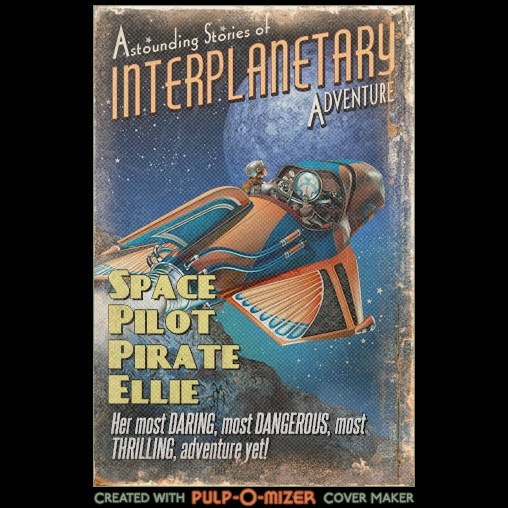 : Another Astounding Adventure of Space Pirate Pilot Ellie! 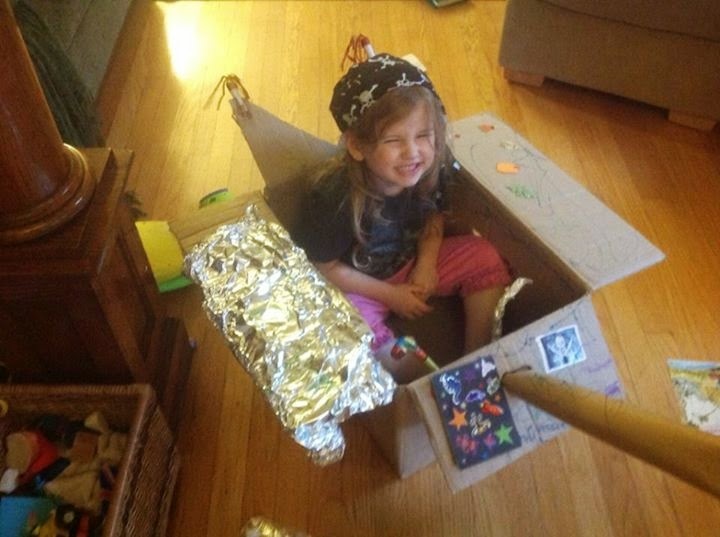 Pretty much everyone agrees that fostering creativity is one of the most important things you do for a child. Skills are all well and good, of course, but the ability to imagine and create matter so much to overall development. One way to foster, of course, is by reading to them and then with them, as books do wonders for a child's brain. Imagination play of any kind is fruitful. 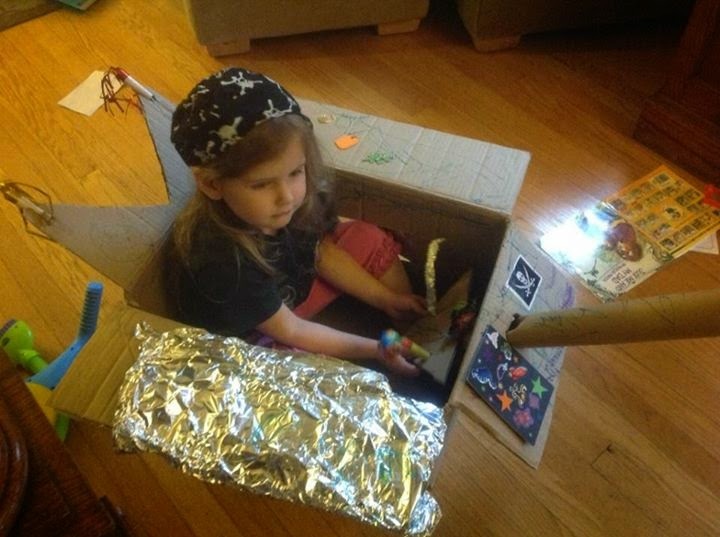 Ellie: Once upon a time there was a space pirate named Pilot Ellie, and what she really wanted was a cookie. But not just any cookie. She wanted the Cookie of Space! But it was guarded by the Cookie King. And if you ate the Cookie of Space you would become unstoppable and never die. So she blasted off to the Cookie Planet and met the Cookie King, and said, "I want the cookie of space, please!" And the Cookie King said, "No! Not unless we battle." So Space Pirate Pilot Ellie said, "Ok, we can do that." And then they battled. Pew Pew Pew Pew. And then the Cookie King said, "Ok, you win." And then they shared the Cookie of Space. And they became unstoppable. And the next people they battled is what I will tell you in the next story. Then I kissed her goodnight. Maybe it's time to build another spaceship.